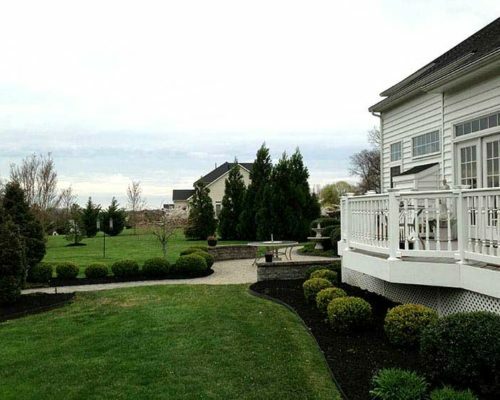 Woodfield Outdoors is a landscaping design company serving homeowners throughout the greater Baltimore area. We work closely with you to turn your landscaping ideas into reality – ensuring your landscape features get off to a healthy start with room to grow. 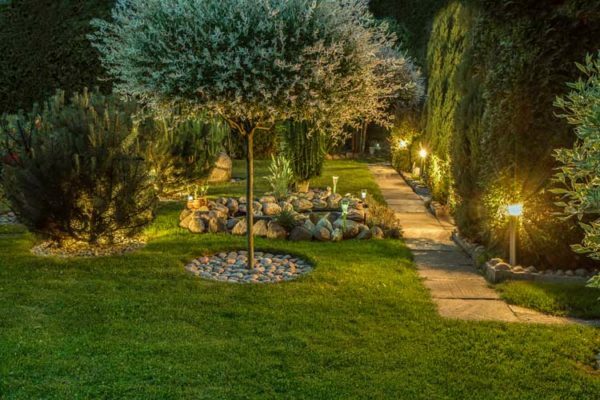 Even more, we develop creative landscape designs and handle the installation of all plant material and hardscape features. Please note that we do not do maintenance of your landscaping – that’s up to you or a lawn service. 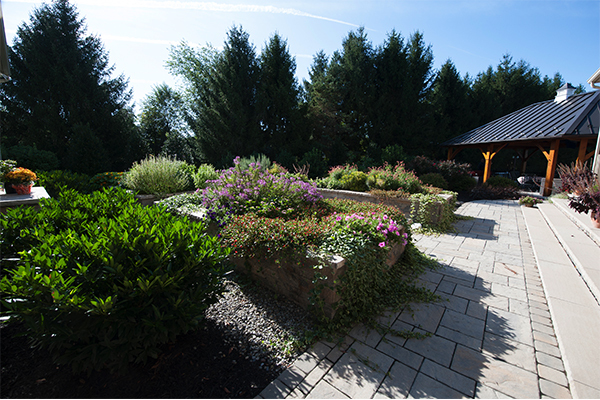 As a Baltimore area landscape designer, you can count on us to create a landscape design that makes the most of your location. We’ll give your yard a cohesive look. 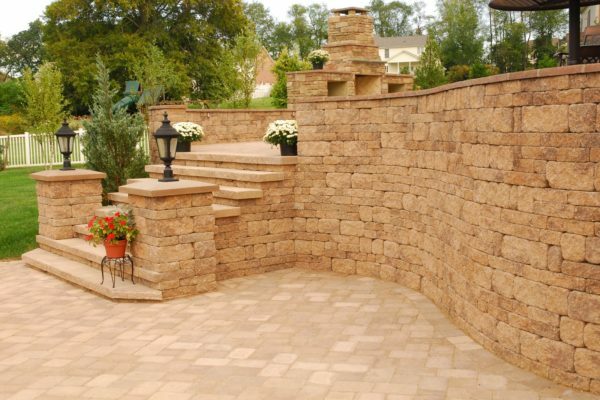 Certainly, many aspects come into play, including working with live plant material (landscaping) and working with non-living materials such as stone, brick, pavers and wood (hardscaping). When developing your master plan for your outdoor living space, there are many things to consider. Follow the links below to learn more about them. 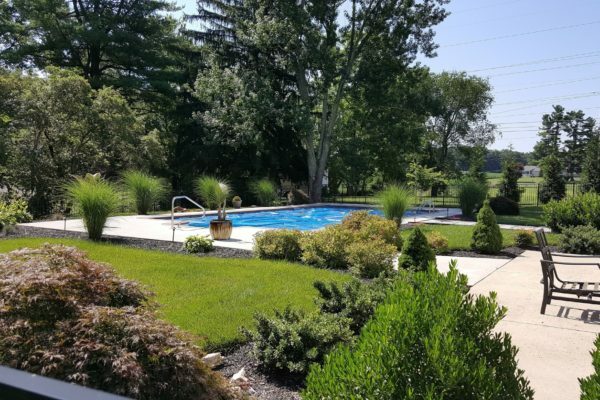 As a full service pool and landscaping design company, we can create a landscape design that incorporates your patio area, pool area, outdoor kitchen, and more. If you are building a new home, we can start with a clean slate and design and build your entire outdoor living area from scratch. Or we can renovate and revamp certain parts of your landscape. No job is too big. 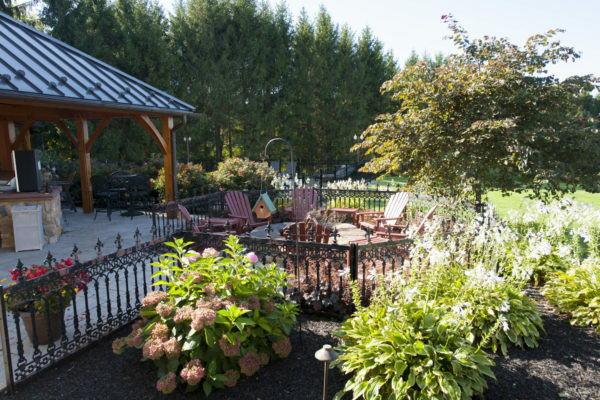 Woodfield Outdoors has been in business as a landscaping design and hardscaping company for more than 25 years. And we stand behind our workmanship. We offer quality inground pool installation and pool repair to the greater Baltimore area. Our service area includes Baltimore County, Harford County, Anne Arundel County, and Howard County areas. We also work in northern Delaware. Call us today at 443-299-6500 or use our contact form to schedule a free estimate.